Comes with 10 Side Kebab Skewers for perfect combination of delicious side. Asala kebab machine is great for cooking all sorts of meat perfect for your business. 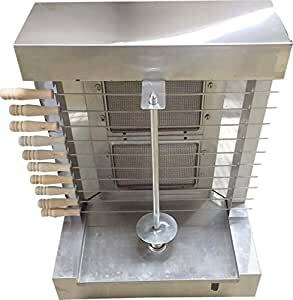 Features 10 kebab stick for a delicious side with burner outputs engineered to provide a crispy outside while keeping the meat Juicy on the inside. When it comes to Home and Kitchen, excellent choice is Asala Brand. Asala offers finest and high quality variety of home and kitchen perfect for your home and business.